Ybor City won out but the Fairgrounds, West Shore and Port Tampa Bay were in play. When St. Petersburg gave the Tampa Bay Rays permission to search for a new home in January 2016, Hillsborough County officials surveyed their available options. 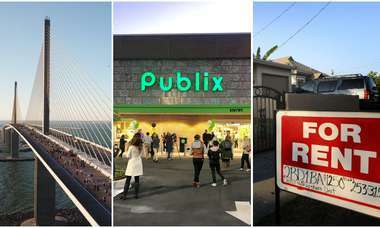 Within a few months, their list included eight sites from the familiar (the Florida State Fairgrounds) to the new (a previously undiscussed office and retail plaza near Dale Mabry Highway and Interstate 275). 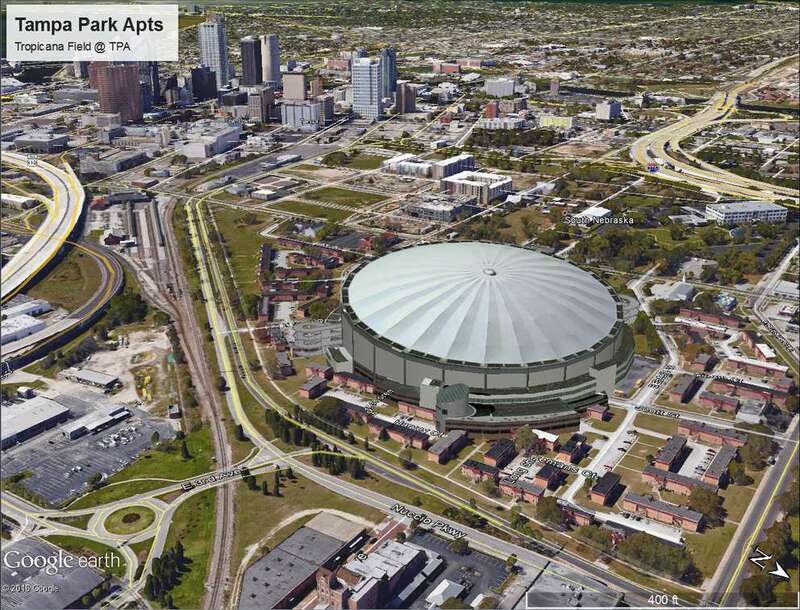 By April, the county had mapped the eight proposals and placed images of a stadium on each property to demonstrate to the Rays how a ballpark might fit, according to records obtained by the Tampa Bay Times. (The Rays declined to comment on the alternative sites.) In October, Hillsborough County Commissioner Ken Hagan unveiled a proposal for a ballpark on a 14-acre site near Ybor City. Here are all eight sites the county presented to the Rays. There’s plenty of space for a stadium and parking at the fairgrounds. 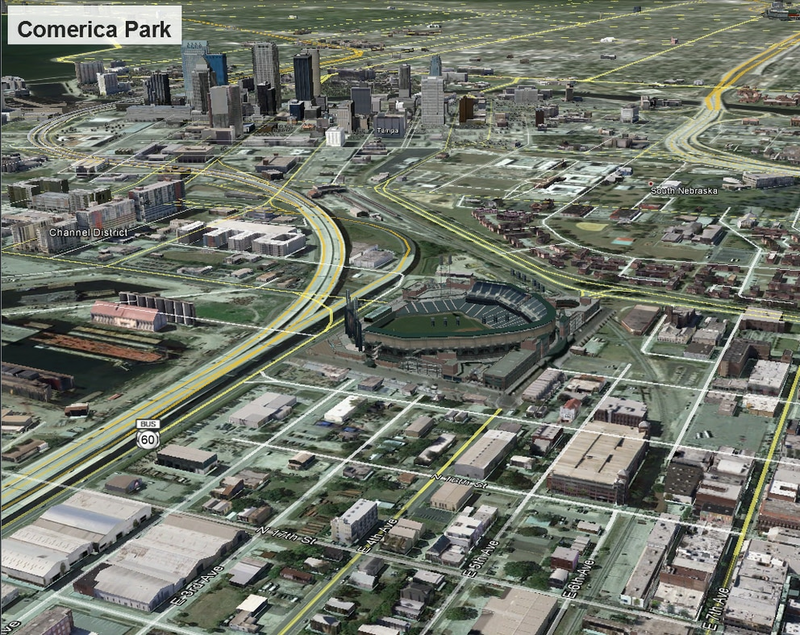 A ballpark here wouldn’t displace anything or anyone, unlike most other sites. It’s accessible via Interstate 4 and U.S. 301. Could it also lure new fans in Pasco and Polk counties, or even Lakeland and Orlando? In professional baseball, it turns out, where there are 81 home games a year, space and parking are not nearly as important as proximity to residents (unlike football, where there are twice as many spectators, only 10 home games, and each is a day-long regional event). Attendance is driven largely by the number of people who live within 30 minutes of a stadium. Besides that, the fairgrounds don’t check several important boxes on the team’s site criteria, including prospects for nearby development and local authenticity. West Shore is an attractive destination, showcased in previous ballpark feasibility studies. It’s close to shopping, restaurants, hotels and apartments. It features the kind of corporate clients and affluent fans the Rays need to boost revenues. Of all the Tampa locations discussed, it would be the easiest to access for Pinellas County residents. And in the weeks leading up to Hagan’s big unveil, he told the Times that West Shore was back on the table. "The demographics in the West Shore area are better than in downtown or Channelside or Ybor," Hagan said. Jefferson High School in the West Shore area was among the Rays’ top choices for a Tampa ballpark, the team’s principal owner Stuart Sternberg acknowledged in March. However, he was told it wasn’t available. The 62-acre property was always a longshot. For one, Jefferson High had already moved once and doing so again could cost $100 million. There would also be outcry from neighbors and powerful alumni, Tampa officials have warned. “I guarantee you there would be public opposition,” Tampa City Councilman and Jefferson alumnus Charlie Miranda said in 2014. The site Hillsborough ultimately settled on is only about 1,000 feet from this dreamed-up scenario at the northern end of Port Tampa Bay. Insiders said the Rays were infatuated with the idea of a waterfront park and wanted to be near an urban core. The rendering for the port option showed a stadium on the Ybor Channel facing a downtown skyline. There’s something romantic about the idea of driving a boat up to the game and watching home runs fly toward Tampa’s growing downtown horizon. Street access and parking, though, would be more problematic here than across the Selmon Expressway. It’s also not clear a stadium would fit (in the county’s mock up, part of the building is floating on water). And what would happen to the existing nearby ship repair businesses? It might also require filling in part of the channel. 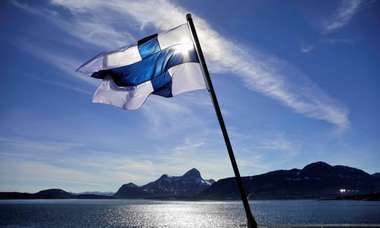 Though man-made, the channel might now hold valuable aquatic animal and plant life, meaning extensive, time-consuming environmental studies and permits to proceed. An image depicting what RFK Stadium, an old professional football and baseball arena in Washington, D.C., would look like along the Hillsborough River in Tampa Heights. 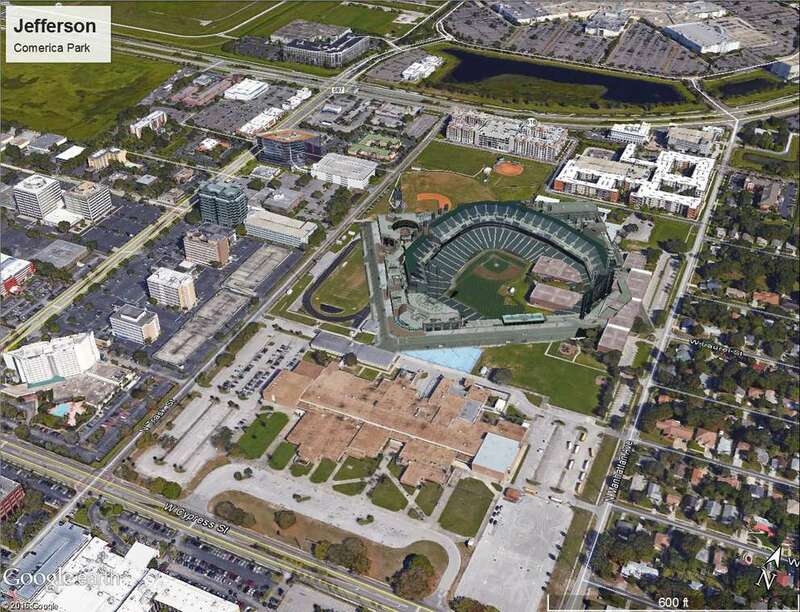 It is one of eight mockups of potential Tampa Bay Rays ballpark locations created last year by Hillsborough County. The 49 vacant acres along the Hillsborough River topped the Rays wish list, team owner Stuart Sternberg acknowledged this summer. And it’s now clear that Hillsborough County thought it well-suited for a ballpark as well. So why isn’t Tampa planning kayak rides to the ballpark and pre game dinners at Ulele? 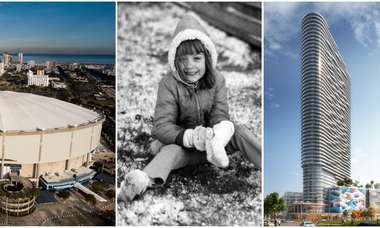 Rays executives in 2016 approached the owners of a proposed development there, an $820 million project called the Heights. But ambitious plans to turn the old Armature Works street car warehouse and the surrounding land into a hip, artsy live-work-play hub were already too far along. Heights developer Adam Harden has said repeatedly that his company did not consider making room for a potential Rays ballpark. “A baseball stadium has never been in our plans,” he told the Times this summer. Hagan accused the Rays of moving too slowly to make it happen. Sternberg countered that city and county officials were in charge of securing a location in Tampa. The spat over the site was one of the low points in the relationship between the team and county after years of flirtation. 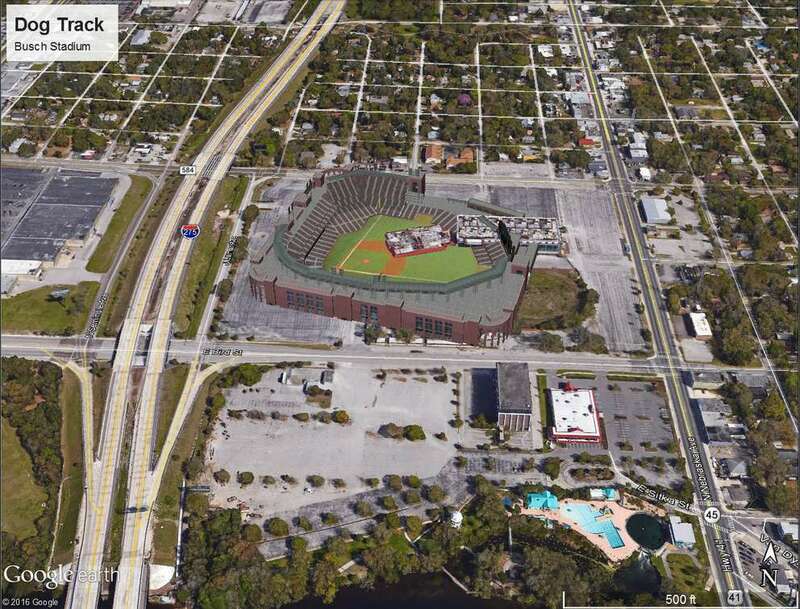 Whenever ballpark talk shifted to Dale Mabry Highway, the focus was north of Interstate 275 near Raymond James Stadium. It didn’t fit the Rays idea for an urban ballpark — and, awkwardly, the team would be neighbors with George M. Steinbrenner Field, spring home of nemesis the New York Yankees — but there’s parking and easy road access, and people across the region are used to attending sporting events here. 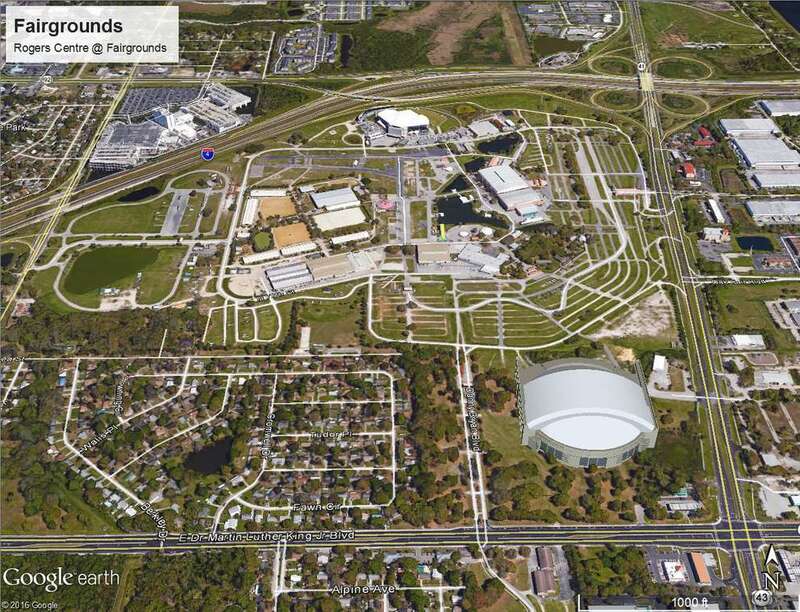 Instead, Hillsborough County showed the Rays an office building on 17 acres just south of I-275 on Dale Mabry Highway. Here, the Rays would be closer to West Shore and south Tampa, but would still have access to the interstate. Though W Kennedy Boulevard used to be a dividing line between Tampa’s have and have-nots, neighborhoods north of the this east-west artery are experiencing a resurgence. If Tampa ever built a transit line between downtown and West Shore or Pinellas County, there’s a good chance it would go right by this site. New York-based Bromley Companies has sat on that parcel for two decades. The company would neither confirm nor deny whether they had conversations with the county about a ballpark on the parcel. “Bromley Companies is evaluating development options for the property, and looks forward to releasing additional information as plans progress,” said Margie Martin, spokesperson for Bromley Companies. Ybor City seemed to meet many of the Rays’ criteria for a new home: An authentic neighborhood in an urban setting ripe for development and close to restaurants and nightlife. So when local officials narrowed in on that area, Tampa Park Apartments was thought to be the place. And for a long time, it was. “When discussions involved Ybor, it was 100 percent about Tampa Park Apartments,” Hagan said of the early deliberations. But Tampa Park Apartments is an income-restricted housing complex and behind the scenes, the Rays made it clear they did not want to cause roughly 1,200 poor, predominantly black residents to lose their home. That already happened once, when St. Petersburg razed a black neighborhood to build Tropicana Field. Tampa Park Apartments may get demolished anyway. The U.S. Department of Housing and Urban Development in July put the owners on notice after a series of failed inspections. BluePearl Veterinary Services CEO Darryl Shaw is in discussions to purchase the land and develop it in concert with a new ballpark. In the heart of Tampa’s Sulphur Springs neighborhood, the Tampa Greyhound Track comes with plenty of parking and easy access to I-275 for Tampa visitors and new fans in New Tampa, north Hillsborough and Pasco County. Commissioner Victor Crist is nowhere close to the Tampa Bay Rays ballpark discussions, but in a recent meeting with team President Brian Auld, Crist made known he preferred the team move there. “I believe the path of least resistance would be at the dog track,” Crist said. Unlike more discussed sites, it’s not readily clear why the greyhound track didn’t gain much traction with those close to the deliberations. But it fails one key test: It is not within an urban core. Rather, it’s in the middle of one of Tampa’s most distressed neighborhoods. And apart from a shopping center anchored by Kmart across the interstate, it is largely surrounded by single-family homes. That makes difficult the kind of growth that can help pay for a ballpark with financing mechanisms like a redevelopment district. The warehouses west of Ybor City weren’t even under consideration until more recently. But securing a spot in Ybor large enough for a ballpark became easier when BluePearl Veterinary Services CEO Darryl Shaw began assembling parcels near Channelside Drive as part of a $63 million property spending spree in the historic district. Shaw “sees the big picture,” Hagan said. 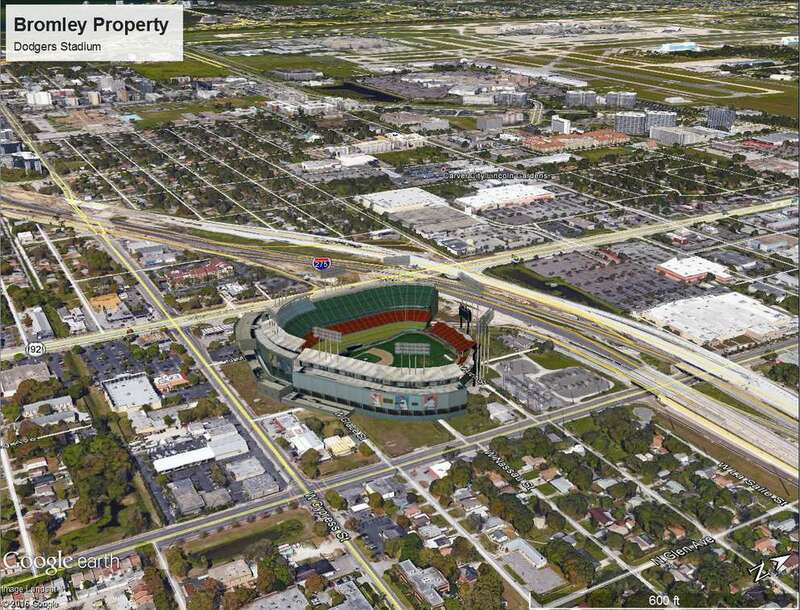 “He really wants the ballpark as an asset to Ybor City and to Tampa. County officials have said the Rays are attracted to the location for a number of reasons. It’s right off the TECO Streetcar line, the Selmon Expressway, I-275, and potentially, to water travel up the Ybor Channel. It’s close to both urban development near Tampa and an authentic neighborhood, but is also enough of a blank slate for the Rays to make a mark. The adjacent Ybor redevelopment district could help finance the stadium.